Trungpa Rinpoche came to America in the early days of the spread of Buddhism in the west. 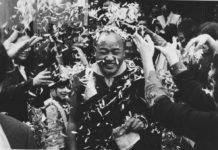 He was able to connect with many people and many became his disciples. His teachings have spread all over the world and have been translated into many languages. He had tremendous wisdom and compassion. Those who became his students and those who were able to meet him were very fortunate to have known such a great teacher. 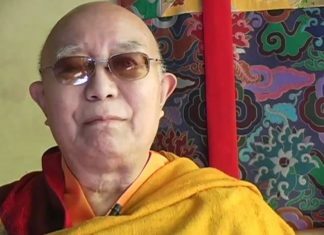 The Venerable Thrangu Rinpoche was born in 1933 and is the Ninth incarnation of the Thrangu Tulkus. 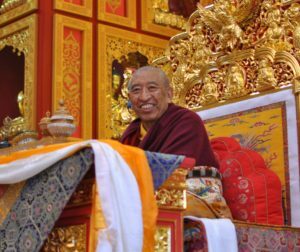 In 1976, Thrangu Rinpoche began teaching Buddhism throughout Asia and in the West. He founded Thrangu House in Oxford, England, in 1981, then in the United States and Canada, he established centres in Crestone, Colorado, Maine, California, Vancouver and Edmonton. He has another fourteen centres in nine other countries. 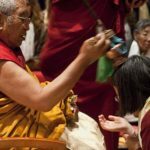 He is the Abbot of Gampo Abbey, a Karma Kagyu monastery in Cape Breton, Nova Scotia, founded by his dharma brother Chogyam Trungpa Rinpoche, reflective of his close ties the Shambhala Buddhist community. 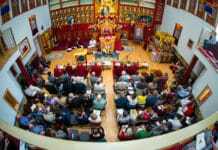 On 25 July 2010, Thrangu Monastery was opened by Thrangu Rinpoche in Richmond, British Columbia, Canada. It is the first traditional Buddhist monastery in Canada. It contains a six metre tall gold-plated statue of Shakyamuni Buddha and the shrine hall can seat 500 people.